Dyspraxia/DCD Ireland has launched an invaluable guide for students parents and educators. 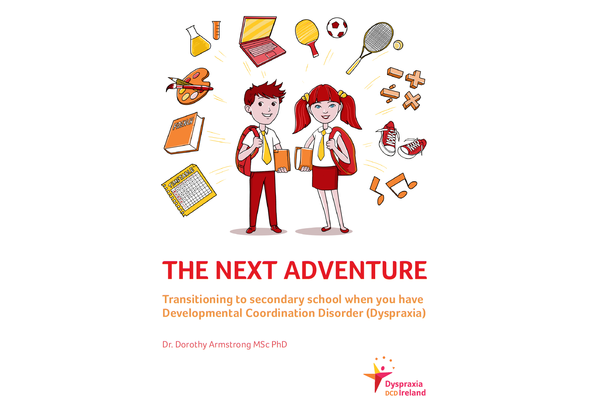 Written by Dr.Dorothy Armstrong, MSc PhD, Occupational Therapist and board member of Dyspraxia/DCD Ireland, this book has been compiled to assist those affected by Dyspraxia/DCD at what can be a very stressful time. We have found that moving from primary to second level education can be a key crisis point for children and for that reason this book has been commissioned by Dyspraxia/DCD Ireland and was launched on Wednesday 3 May at Buswells Hotel by Regina Doherty, Fine Gael TD and Government Chief Whip. Fields marked (*) are required. Your information is never shared with third-parties without your express consent.